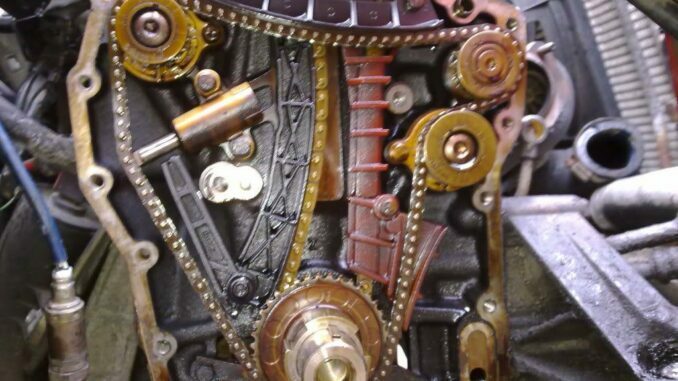 Timing Belts-Chains Or Gears, all perform the same function. 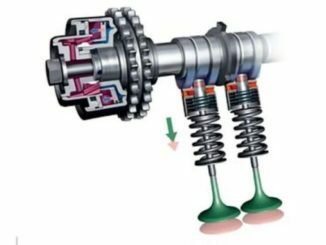 Their job is to synchronize the rotation of the crankshaft and camshaft. Despite having the same functionality, Timing Belts-Chains Or Gears are unique in their design. At first, engines used timing gears but slowly evolved to timing chains. Later, timing belts came around and were quieter, but problematic. As a result, Over the years broken timing belts have damaged many interference engines. Interference designs help engines breathe better by improving engine efficiency, power, fuel economy and emissions. More recently, engine have been moving back to stronger and longer lasting timing chains. As a result, preventing premature failure and damage of interference engines. Timing Belts, are light and quiet, but they don’t last very long, relatively speaking. 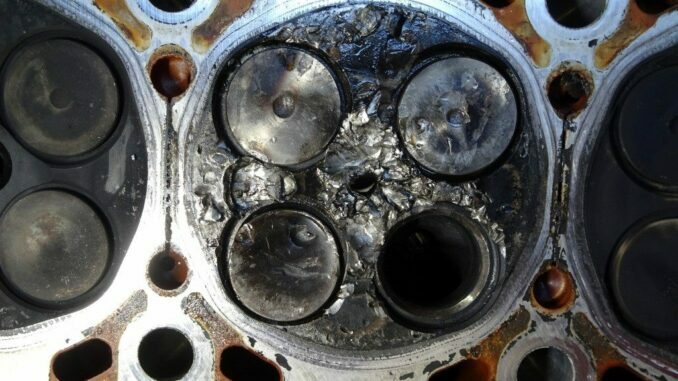 Oil and coolant leaks speed up this deterioration. Most automakers recommend replacing the timing belt every 60,000 to 105,000 miles. Timing Chains, are heavier and more complex than timing belts, but they also last much longer. Really, unless there’s a problem, timing chains don’t have a replacement interval. Regular oil changes prevent premature wear, stretching, and failure. Timing Gears, are the heaviest and noisiest, with a distinctive whining noise. Like timing chains, timing gears are strong, accurate and last a long time. For decades, timing gears and timing chains were state-of-the-art, but noisy and heavy. Drivers demanded something quieter, so timing belts were born. As the belts are flexible and there is no metal on metal contact it eliminates the need for lubrication. The majority of manufacturers recommend changing the timing belt between 60,000 and 100,000 miles. Almost all timing belts are fed through a series of pulleys and tensioners. The tensioners, pulleys and water pump will also wear and should be replaced. Also, Do the whole job at the same time, the timing belt, water pump, tensioner and idler pulley. Because, If the belt is worn the other parts are not far behind. Almost all timing chains are made of metal and resemble the chains that are on bicycles. The chain runs through the inside the engine so it can be lubricated by engine oil. Their main benefit is that they last for a long time. 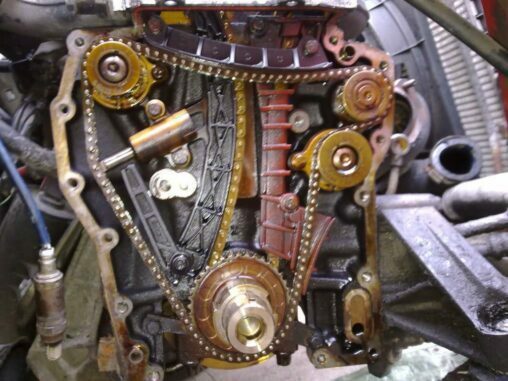 Some disadvantages of timing chains include the louder noise level and the damaging impact from one if it breaks. 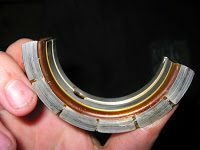 Similar to timing belts, they are fed through a series of tensioners. Timing chain tensioners rely on engine oil pressure. If for any reason the oil pressure is low the chain tensioners can lose pressure and affect engine timing. 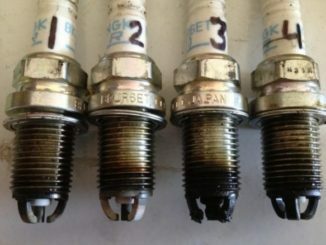 This results in poor engine performance and the chain may malfunction causing expensive damage. 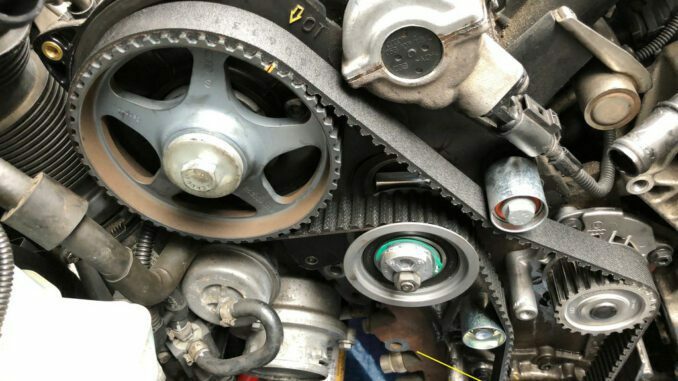 Most timing chains have no connection to the water pump unlike timing belts. So, Timing gears in some ways are the easiest to explain. A gear on the front of the crankshaft turns a gear on the front of the camshaft. That’s it. 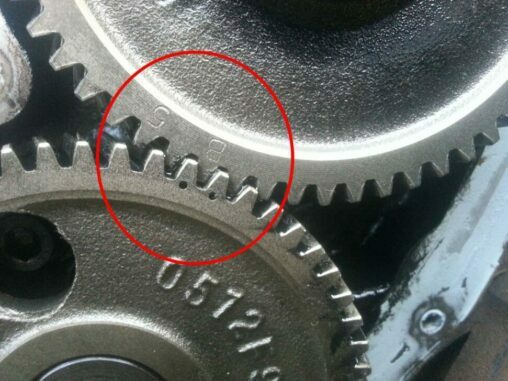 Timing gears are almost always located on the front of the engine, and are lubricated by engine oil. 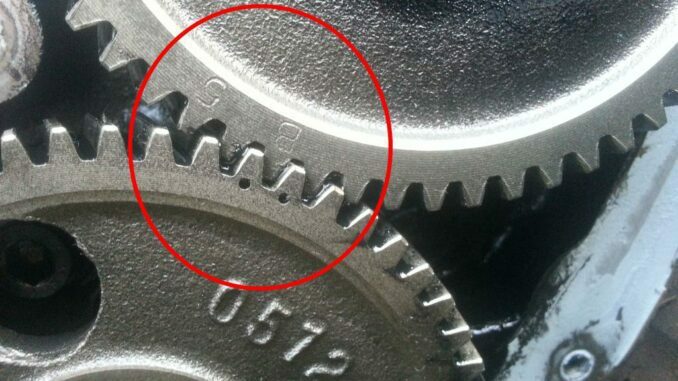 They only need attention if one of the gears starts to wear, in which case replacement is the only repair. So, If your vehicle manufacturer recommends replacing the belt or chain at regular intervals, do it. 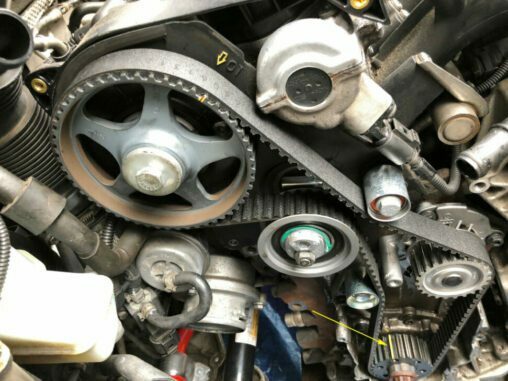 Your engine will use one of either Timing Belts-Chain Or Gears, depending on your car model. High displacement vehicles come with the timing chain but most reasonably priced cars have the timing belt. The timing belt has the key advantage of being cheap but requires maintenance.